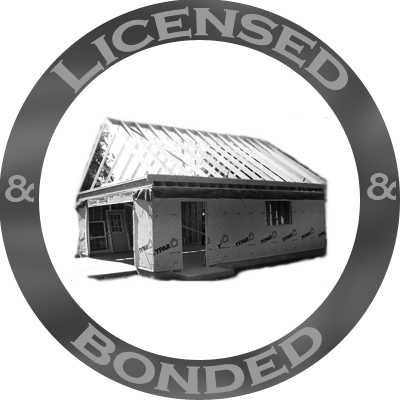 All subcontractors are also licensed and bonded. See our floor display at Menard's! When it comes to your home we do everything but give birth! James P. Construction is a licensed and bonded building and remodeling company, and Equal Opportunity Employer, established in 2001. We are your one-stop shop for everything your job needs to be completed. The crew consists of plumbers, painters, electricians, HVAC, carpenters, stonemasons, cappers... anything it takes to create the home that you want. Our crew is the best money can buy. Customization is our specialty and we will help you bring your ideas into reality. We know from experience that what the customer wants is what is most important, so we recognize the importance of working one on one with each and every customer. Our business runs off customer satisfaction. No job is too far, too small, or too large for our customers. We have expanded into C. Bella Landscaping to be able to provide complete service inside and outside of your home. James P. Veraveic, owner, has built over 85 houses as a union carpenter on the south side of Chicago, where he grew up. He left the union to pursue a career in remodeling. Being able to work hands on with the customers and getting to see their appreciation is what drew him to remodeling. He began work with a non-union remodeling company and designer, where he worked as a foreman and learned the managerial skills needed to be a general contractor. Next he created James P. Construction. The business has continued to exist solely on the word of mouth of our satisfied customers. Our first job was an 8x8 inch window pane for a front door, valued at $3.50, and we are now doing jobs that include over $200,000 additions.